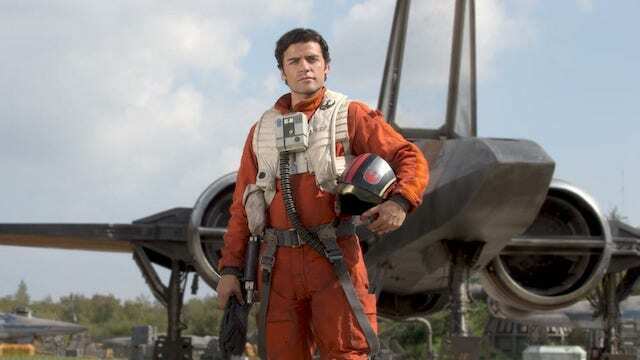 Although Oscar Isaac hasn’t revealed too many spoilers for Star Wars: Episode IX, he did note a potential team-up with a fan favorite. Isaac recently spoke with the Happy Sad Confused podcast (per the Bespin Bulletin Instagram page). During the conversation, the topic of being able to work with Daisy Ridley came up. Rey and Poe have had very little interaction in the saga thus far. However, Isaac explained that things are about to change. Star Wars: The Force Awakens kept Rey and Poe at a distance, even though they fought for the same cause. They did get a moment together in The Last Jedi, although it was all too brief. Fortunately, it sounds like Episode IX should have them working more closely together. Isaac also spoke about working on the film and how much of an effect it has on him. More information on Episode IX will likely come at Star Wars Celebration next month. Star Wars: Episode IX arrives in theaters on December 20. How happy are you to see Rey and Poe team up? Let us know in the comment section below!